This is the eighth post of our series of projects to make us thankful for DIY. Be sure to check back everyday during the month of November for new simple and easy DIY projects. Pizzas made at home are better for you and delicious too. 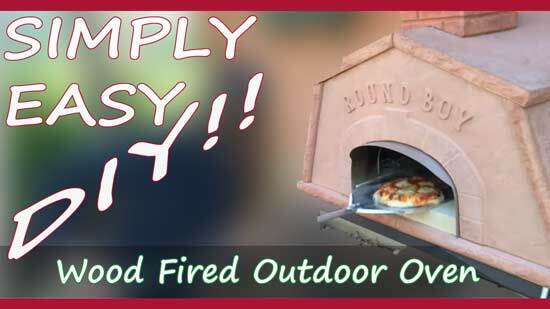 Why not have some fun cooking your own home made pizzas outdoors in a wood fired oven? They're really fun and make the most amazing crusts. You can go to a dealer and get an oven but you will have to consider what base it will be placed on. Some retailers actually sell bases, but if you're industrious enough you can try your hand at making your own. That's what our friend FreshP did. 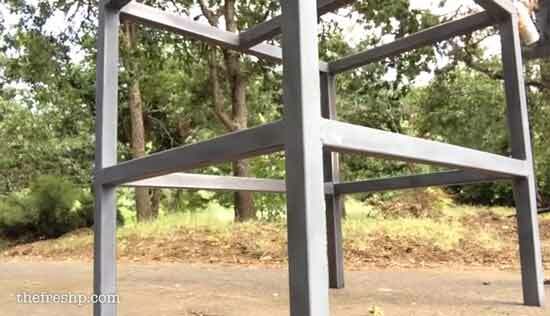 She learned how to weld and successfully made her own stand. Then, she finished it off with a bit of sanding and a black coat of paint. After you have a base and an oven to go on the base all you have to do is follow the manufacturer's instruction for placement of the oven on top of the stand. And, in case you're interested, you can see this great oven in use right here... making amazing and delectable pizzas in about a minute! I wonder if a DIY wooden pizza tray is in her future? Even if you have never tried welding, you may know someone who does know how. They might even have a shop . If you want to learn, just ask them! Who knows, you may find that you enjoy it. I'll be honest, after watching this, I was drooling for a pizza. That amazing wood fired crust is unmistakable. Makes me want to try the recipe she showcases featuring tomatoes, onions, mozzarella and basil. When it comes to cooking at home, you can control what goes into your food and then you know for sure which ingredients you're consuming. With these pizzas cooking in a minute or so, you can throw a party and everyone can make their own custom pizza. (No anchovies for me please!). I hope you enjoyed today's featured project and don't forget to stop by "FreshPCooks" YouTube channel to check out even more great cooking and adventure videos from her.